Prius, the uncontested frontrunner in the hybrid community for more than two decades, is an international embodiment of ingenuity in the auto market, eco-safe development, and exciting trips all over. 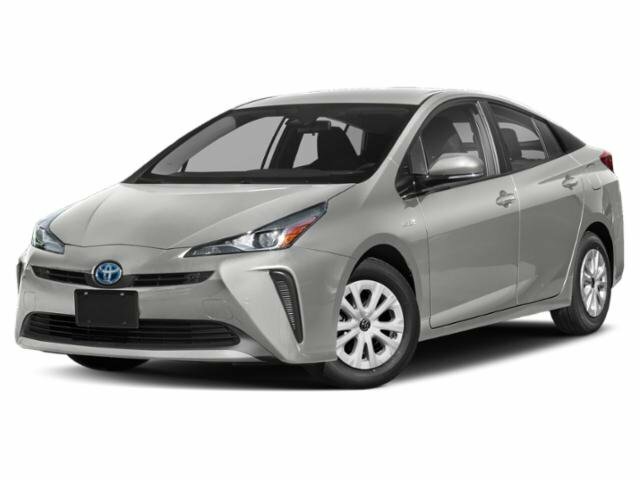 Toyota regularly aspires to supersede the anticipations of motorists across the globe, and the exciting new Prius is no exception with excellence at the helm of its history. Taking a peek at what the latest variants have improved upon should certainly convince you of this. Purchase or lease your ideal Prius at Westbury Toyota and really garner the attention of those around you. The striking form, featuring Bi-LED headlamps and LED taillamps, helps you float along the roads of Westbury NY in an exhilarating and economical way. As an active grille shutter works at improving airflow, the sleek back spoiler likewise handles the process of lessening wind resistance. Gain the most mileage out of each tank driving one of the newest Prius variants. You can realize 54 miles per gallon (mpg) in urban areas and 50 mpg on the highway through a 1.8-liter (L) Atkinson-cycle four-cylinder motor, Hybrid Synergy Drive, and an electronic continuously variable transmission (CVT). For an extra jump up in fuel conservation, the mega-efficient L Eco version supplies a dynamic 58 mpg around the city and 53 mpg on the interstate to increase miles journeyed between fill-ups. More competent than ever before, the reinvented Toyota Prius reduces worries involving its capacity to fulfill your desire to adventure into the wide-open outdoors in rougher landscapes. 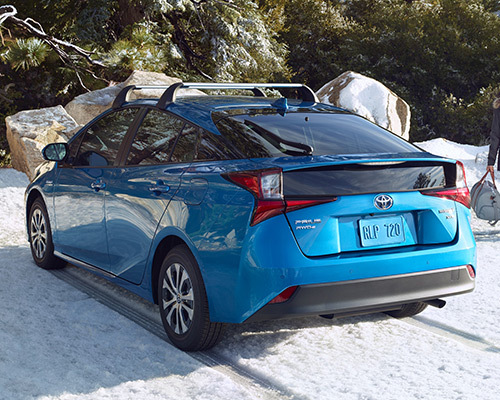 The elite AWD-e employs Toyota's very first independent electric rear motor to provide power to its wheels at a maximum of 43 miles per hour (mph), bringing you an additional boost in keeping control as rain, snow, or other unfavorable circumstances occur. This landmark setup developed for exceptional on-demand maneuvering when you must have it transforms your Prius into America's most effective all-wheel drive passenger automobile. 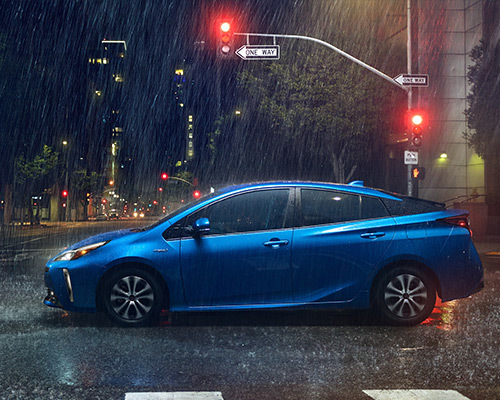 When you drive up in the Prius LE showcasing the eye-catching hue of Supersonic Red or Electric Storm Blue and optional dual-tone 15-inch (in.) alloy wheels on the AWD-e edition, you never go unnoticed. Drawing your attention also continues on the inside with carrying space exceeding numerous full-size cars and the steering wheel, gear shift, and center console covering accented in breathtaking piano black. 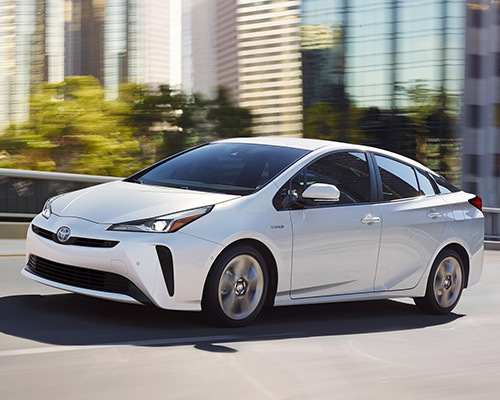 Prius XLE places focus on additional luxury and pragmatic elements. Your regular travels and adventures to leave behind the weekly drudgery receive a substantial enhancement with quite a few standard features, like a heated steering wheel, Push Button Start, Smart Key System, which covers three doors, and wireless lighted entry. For those who favor cruising in the lap of luxury, Prius Limited offers up an abundance of high-end features to improve your travels on the road. Spectacular amenities that are waiting for you entail an 11.6-in. HD multimedia display, Integrated Navigation, Entune Premium JBL Audio System, Toyota Safety Connect with complimentary 36-month trial, and Adaptive Front Lighting System. Organized activities and spontaneous adventures demand a multipurpose interior that can adapt to the scenario at hand. Containing an ample 65.5 cubic-feet (cu.-ft.) of cargo room when the back seats are laid flat, the Toyota Prius makes packing up your gear, luggage, and other possessions straightforward, or utilize 27.4 cu.-ft. and transport up to five individuals. For increasing your carrying potential, upgradeable cross bars accommodate storing larger objects on the roof. Whether driving around in Westbury or embarking on an extended trip, you continue to be linked in and in control inside the tech-friendly Prius. A 6.1-in. infotainment display allows you to access Bluetooth connectivity for hands-fee calling, streaming music, and quite a few voice-recognition functions. Charging digital gadgets is speedier than ever with two 2.1-amp USB ports and the optional Qi wireless tray that was increased in size for contemporary smartphones. Keen on remaining caught up on vital driving figures in real time? A 4.2-in. Dual Multi-Information Display in color grants Prius owners or lessees an array of screens to customize, which showcase navigation information, AWD-e details, Drive Monitor, and Eco Savings Record. Additionally, an optional Color Head-Up Display (HUD) offers you a direct view of the speedometer and Hybrid System Indicator. Once you combine this level of protection with ultra-efficient technology and high gas economy, it does not take long to uncover why nine out of 10 Prius vehicles sold in the last decade are still going strong. In addition, boost your traveling capabilities and reduce your carbon footprint in Westbury NY by visiting Westbury Toyota to purchase or lease the category-leading Prius.